Any builder starts to build any of his creations from the foundation: leveling the ground, removing unnecessary blocks and preparing the site for construction. What to do when you plan to build a huge city or village, maybe you want to build a big castle or an amusement park? 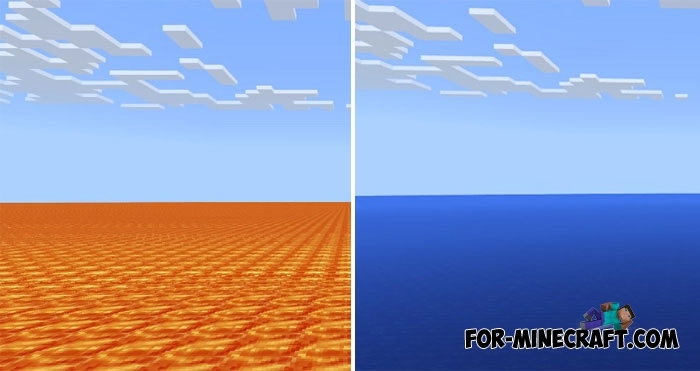 In such cases, a special software such as WorldEdit PE can help you with the ability to convert one type of block to another. With its help, you will have a new function - selection of the area and replacement of blocks. But there are various errors, incompatibility with some versions of Minecraft PE Bedrock or something else. That's why there is the Flat Worlds Pack that consists of 4 ready-made maps at the moment. The following bases are available to you: lava, ice and water, as well as snow. This is quite enough to build an island in the ocean or a snowy settlement. 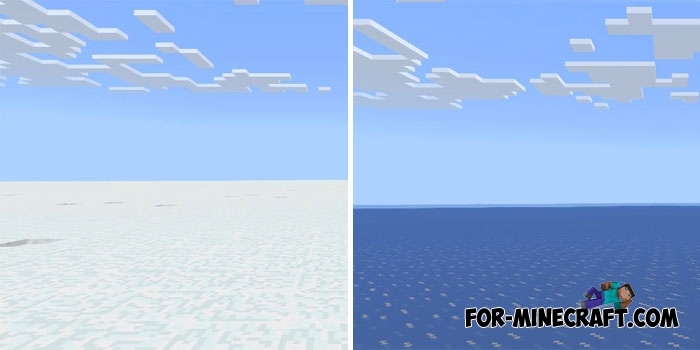 At the same time, these maps do not affect the loading speed, which is optimally combined with the giant structures in MCPE.